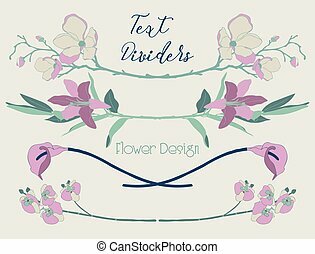 Calla lilies and orchids border. 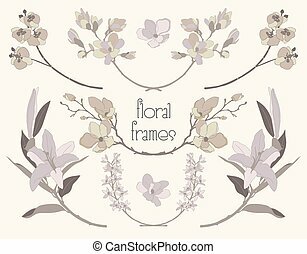 Image composition of pink calla lilies and orchids for wedding, birthday, party invitation, border, frame or background with copy space. 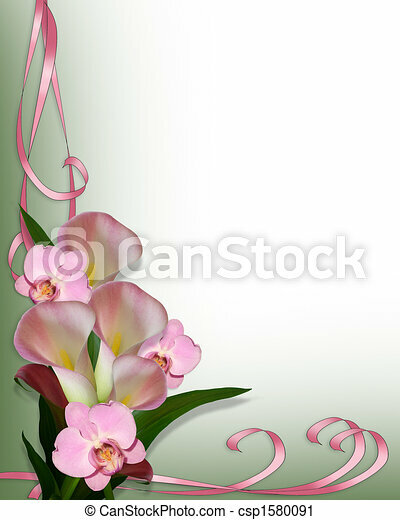 Image composition of pink calla lilies and orchids for wedding, birthday, party invitation, border, frame or background with copy space. 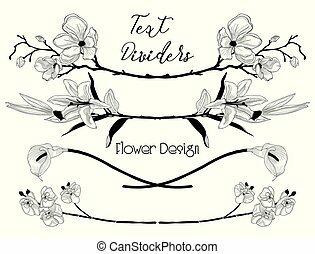 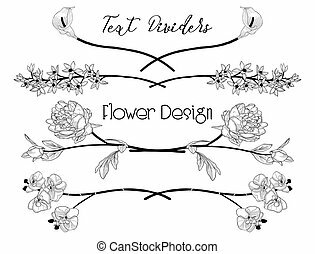 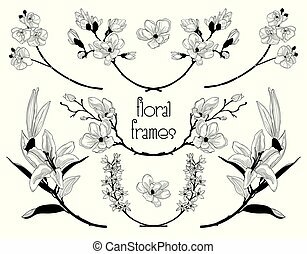 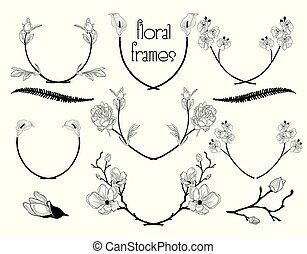 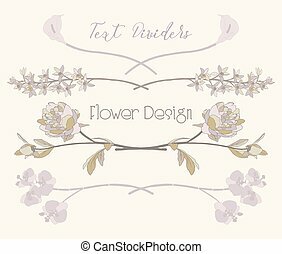 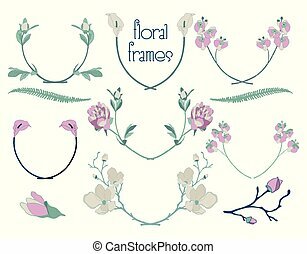 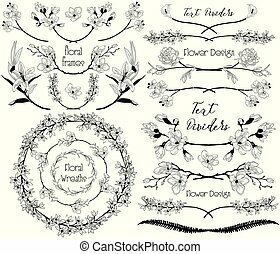 Black Hand Drawn Floral Divider, Line Border with Delicate Flowers and Leaves. 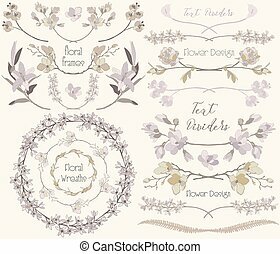 Decorative Outlined Vector Illustration. 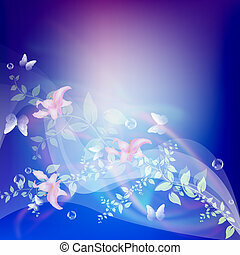 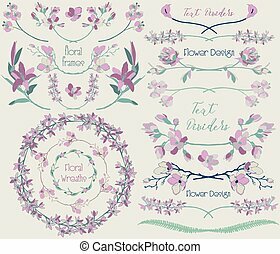 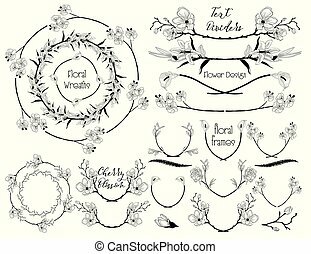 Flower Design Elements.